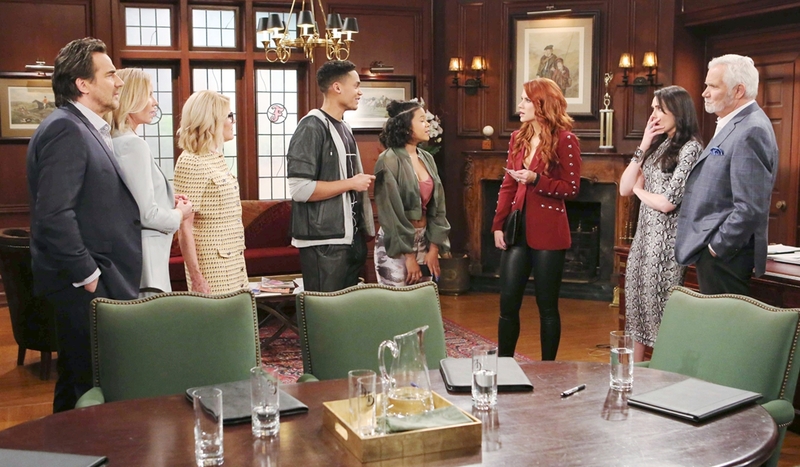 Wednesday March 27, 2019: On Bold and the Beautiful today, Aiden and Tiffany surprise Sally, Eric worries about fallout from Ridge's decision, and Quinn is tickled to see Wyatt's former girlfriend, Flo. 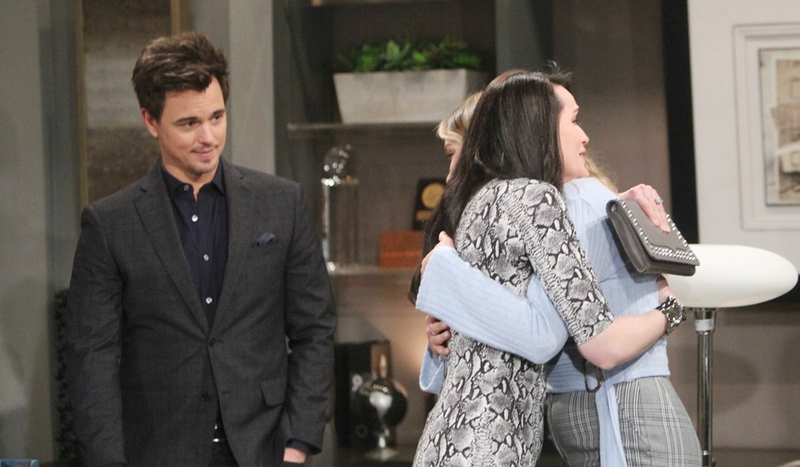 At Forrester Creations, Brooke tells Ridge, Eric, and Quinn about a new designer she has an eye on. Quinn mentions going to see Wyatt, but Eric announces Sally’s there to say goodbye and has Pam send her in. Sally thanks them all for the opportunity they’ve given her at Forrester. Quinn still can’t believe Bill’s making things right. Ridge interjects – he thinks Sally’s making a mistake. Aiden and Tiffany bust in wearing the prototypes for Sally’s athletic line. Aiden shares they were having lunch on Melrose when ‘she’ appeared. Sally looks at his phone. Aiden and Tiffany reveal the celebrity loved Sally’s designs and wants to feature them in her new music video. Everyone gushes about the great opportunity. 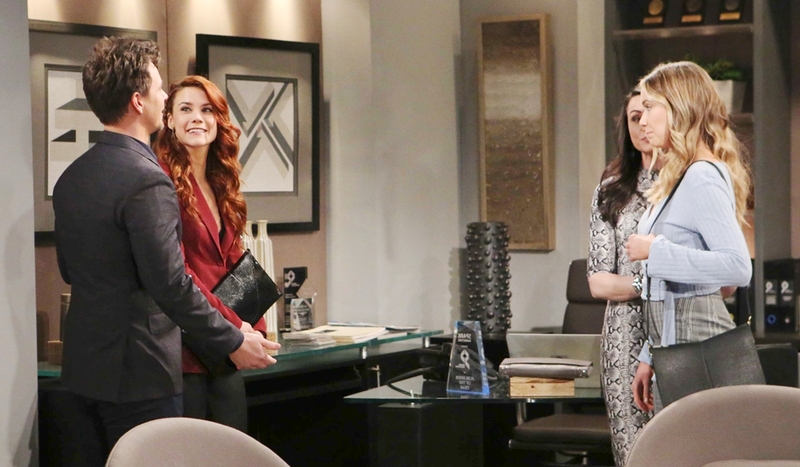 After Aiden and Tiffany exit, Ridge declares he doesn’t want Sally to leave. “I don’t want you to go to Spencer,” he implores. Sally doesn’t know what to say. Ridge continues his pitch – Bill won’t let her use the Spectra name, but Ridge will allow her to use her name and get all the accolades she deserves. Eric and Brooke back him up. Sally’s floored but has to discuss it with Wyatt. 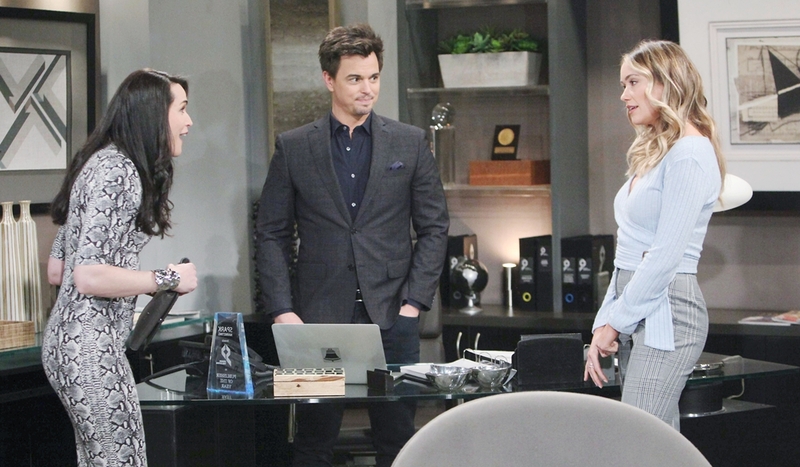 After she leaves, Eric worries that hearts are involved; this could cause problems in Wyatt and Sally’s relationship. 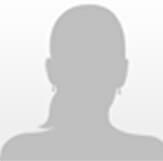 At Spencer Publications, Wyatt’s phones are ringing and his repeated requests for ‘Janie’ to answer them is met with silence. The office door opens as he’s saying he really needs some help – it’s Flo. She deals with the phones, after which he tells her about his cousin Caroline’s death. Flo’s sympathetic. She shares she’s decided not to leave L.A. and came to tell him something – it’s been wonderful to hang out with him again. Flo is happy for the life he’s found and if leaving her led to that, she’s okay with it. Wyatt marvels over his father embracing him into this world, then apologizes since she knows nothing about her dad. Talk turns to Sally. Wyatt says she’s an incredible woman who deserves everything coming her way. He grins that Sally ticks all the boxes for him, and he hopes it lasts. Flo learns Wyatt had a hand in Sally getting into Spencer. The phones start up again as Quinn bursts in. She’s thrilled to see Flo and embraces her, while pressing for the details on how long she’s been in town. Quinn asks after Flo’s mom. Flo says she missed Quinn’s friendship a lot. Sally arrives at the door as Quinn goes on about the special place Flo has in her heart and talks about how much Wyatt hated leaving her – he loved her. Quinn feels there’s never been anyone more suited for Wyatt. Just then, Wyatt realizes Sally’s there, and he gives Quinn trouble for disrespecting their relationship – he insists she apologize. Quinn remains silent. Sally takes Wyatt by surprise.